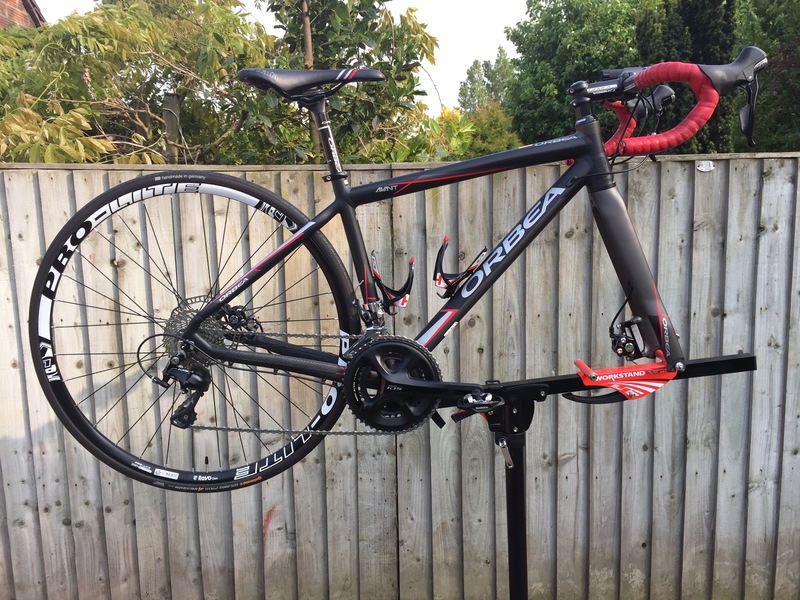 Like many other cyclists, I like to regularly clean and service my pride and joy, ensuring that everything is working optimally and my bike is looking the part. Until now, I have been using a basic bike stand to keep my bike upright whilst cleaning it. This is not particularly ideal, as my bike would not be steady, and cleaning around the wheels was particularly troublesome, and to some degree, frustrating. I then decided it was time to invest in a quality work-stand, as I am also planning to do as much of my bike maintenance as possible myself. I should mention that I did not want a work-stand that clamps onto the seat-post, as my Canyon bikes both have carbon seat-posts. 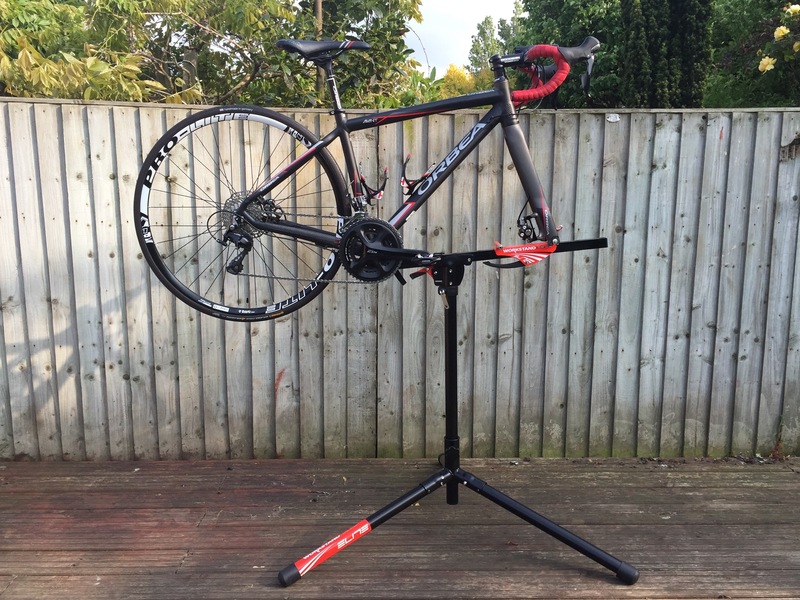 I had a look at the many bike stands on offer, and finally settled on the Elite Race Workstand. This was also recommended by my buddy Julian Porter, who has the same stand. The stand came well packaged from Wiggle, and cost me ~£140. It was fairly straight-forward to put together, and although instructions are included, these are not really needed. First impressions are that it is well made, sturdy and strong. This is all very reassuring, as resting an expensive bike on-top requires this level of confidence. I should add that I was sightly disappointed with some of the overall finishing touches. For example, the stickers were poorly placed (not aligned) and peeling off. I find this unacceptable, particularly at this price-point. 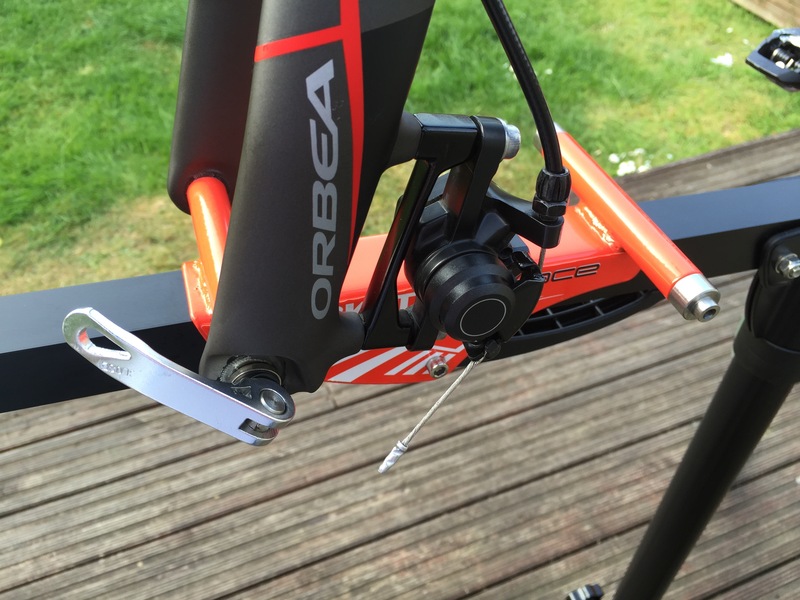 Over the weekend, I gave my Orbea some much needed care on the work-stand. It was easy to place on. Just remove the front wheel and secure onto the stand using the included quick release skewer (two are included on different sizes). 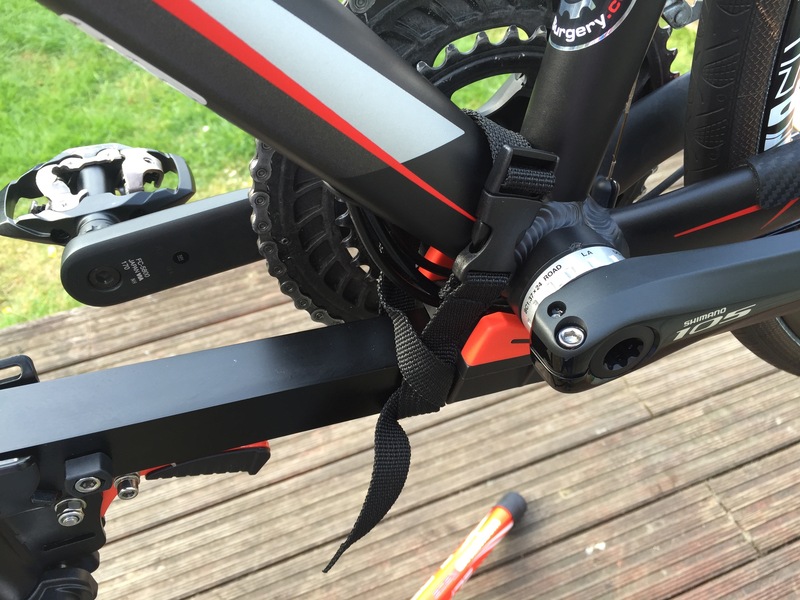 The bottom bracket rests on a rubber surface, and a strap is included to fasten this area of the bike to the stand. The rear wheel does not have to be removed, but can be. I could easily scrub my bike clean with some degree of pressure, and the bike stayed securely in place. I could also reach smaller areas with ease, as the bike was now lifted off the ground to waist-height, as opposed to being on the floor and me squating down. This was much more comfortable for me. Applying degreaser to the chainset and spinning through the gears meant a much more thorough clean for the cassette and chainrings, too. Conclusively, I was really impressed with the bike clean. The stand folds down quickly for storage after use, so is ideal for transporting and for whom storage is an issue. This stand would suit anyone who wants to keep their bike squeaky clean and do any maintenance work. It seems to be reliable and strong, and appears like it will last for years to come. The finish could have been better, but from a pure functional perspective, it works and does the job well. It is expensive for a bike stand, but you get what you pay for, and the risks associated with getting a cheaper stand are too great.